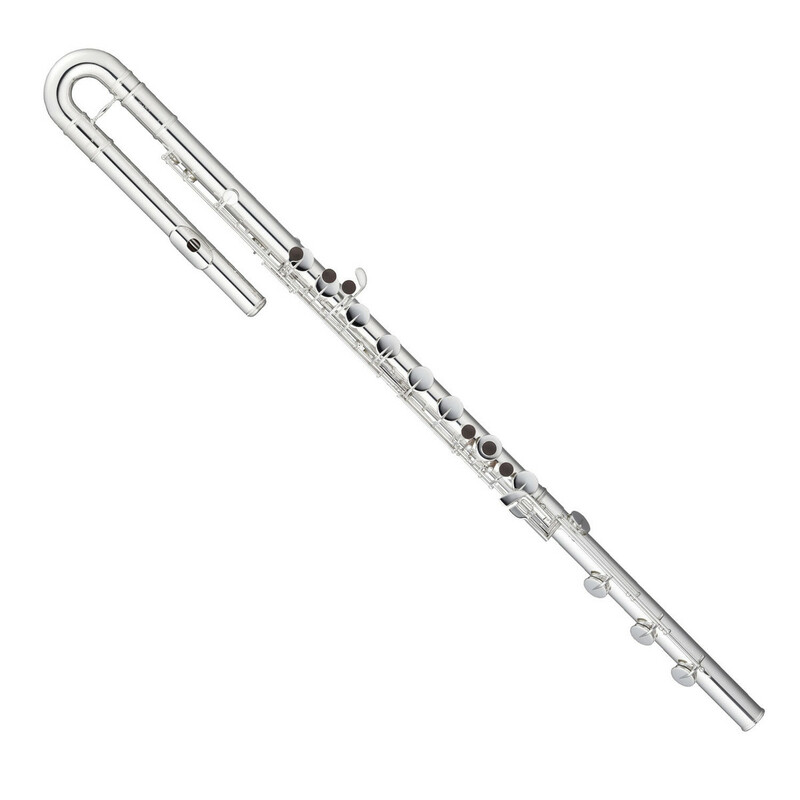 The Pearl PFB-305E Bass Flute is a reliable and expressive instrument ideal for intermediate and advanced players. It consists of a Silver plated body with a curved headjoint, essential for accessing the instrument's full range. Featuring the ergonomic Split E mechanism and an extended B footjoint, this high quality flute is versatile, responsive and fun to play, sure to satisfy most any player.